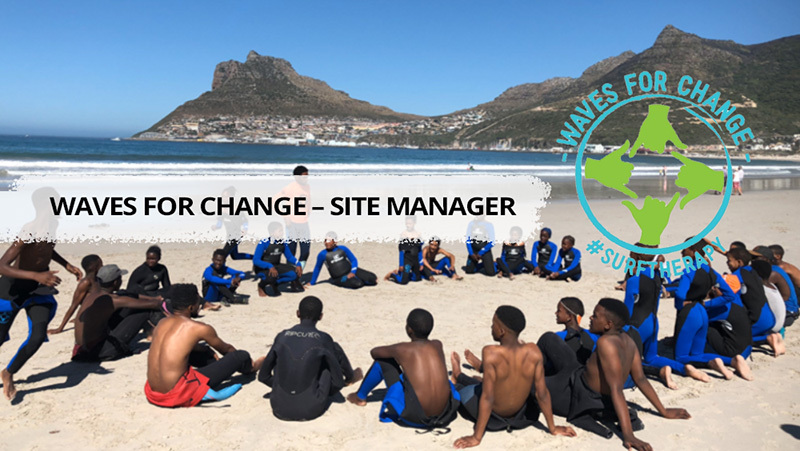 Waves for Change (W4C) provides a child-friendly mental health service to vulnerable and differently abled young people living in unstable communities. Through connections to safe spaces, caring mentors, and a 12-month weekly Surf Therapy curriculum, W4C gives children skills to cope with stress, regulate behaviour, build healing relationships, and make positive life choices. The young people W4C works with are exposed to repeat trauma, and adversity, lack supportive adults, feel negatively about themselves, and adopt challenging behaviour patterns, reducing their life chances. W4C Surf Therapy combines evidence-based mind and body therapy with the rush of surfing to improve mental, physical, and social health outcomes. W4C supports, trains, and resources community-based mentors to lead the Surf Therapy programmes. Across six sites in South Africa and Liberia, W4C reaches more than 1,000 young people every week. Mentors are given two year coaching contracts, ensuring consistent programme delivery whilst also improving local childcare infrastructure and job readiness of mentors, allowing them to find job opportunities post training. To provide a quality education and beneficial program to all participants. To ensure that senior and junior coaches deliver day to day activities, events and ensure safety regulations are met during the delivery of the program. Ensure the smooth running of programme at your respective site and within the community. Meet all monitoring and evaluation expectations including, attendance targets, submission of interviews and evaluations. Ensure that HR policies and procedures are enforced managed within the team. Changing lives, one wave at a time…. Should you not hear a response from us by the end of October, you may consider your application unsuccessful. This entry was posted in Community Building, Job Opportunities, Latest News. Bookmark the permalink.